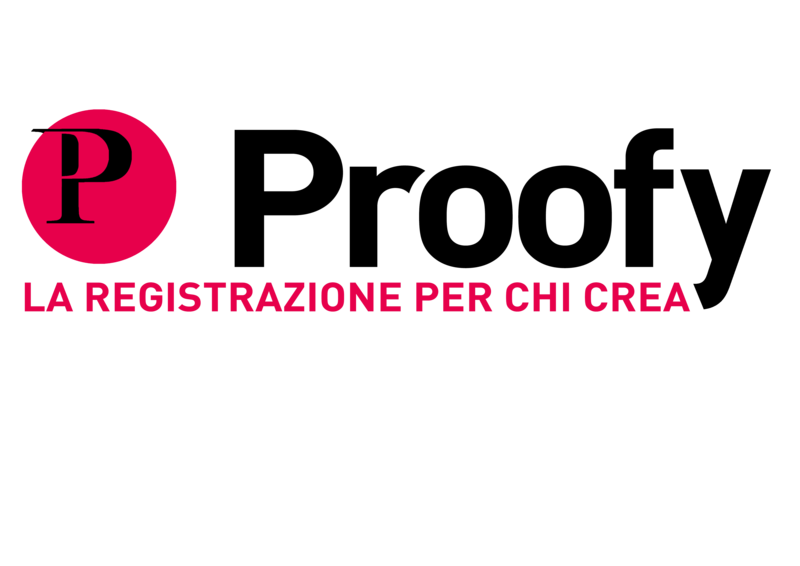 Proofy is the first service in Italy for the protection and integrity control of creative works. Musicians, designers, photographers, writers, software developers. Anyone who uses creativity in their work or as a hobby knows that anything they create can easily be copied or tampered with once it goes online or on social media. Which is why it is important to ensure that any original unpublished work you wish to share with the world is protected from plagiarism and that you can prove at any time that you created it before anyone else. Only then will your works receive the value and visibility they deserve. Proofy is a partner who offers an innovative solution that is within anyone's reach to protect the intellectual property of original works. Uploading and archiving an original work in digital format on Proofy enables the creator to demonstrate the integrity of the work and certify the date in which it was created thanks to a timestamp issued by a certified authority. Proofy sells a package including a number of certified timestamps to be used by customers, together with a pre-defined cloud storage space in order for the customers to archive their works. Each package's price depends on the number of timestamps and the width of cloud storage that are made available to the customer.